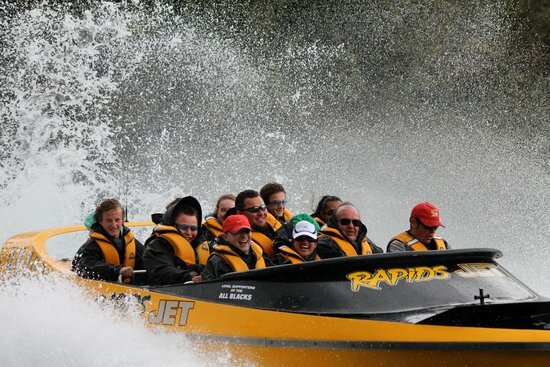 The Rapids jet boat is a unique experience to Lake Taupo and New Zealand because we jet boat White Water Rapids! 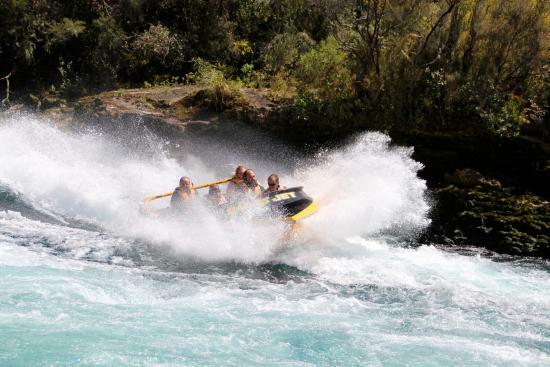 Taupo’s Waikato River and Huka Falls provide the water, Rapids Jet provides the fun. 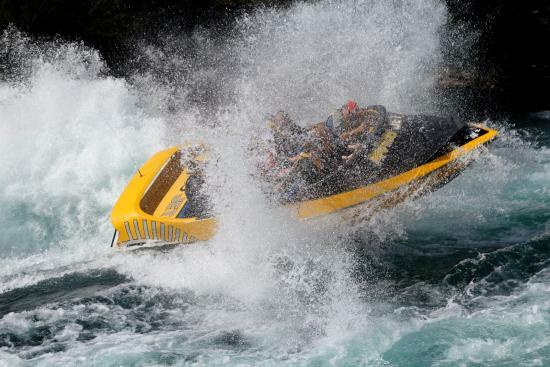 Shoot through the narrow canyon on crystal clear waters, surf the pressure waves of Nga Awa Purua Rapids and hold on for the spins! 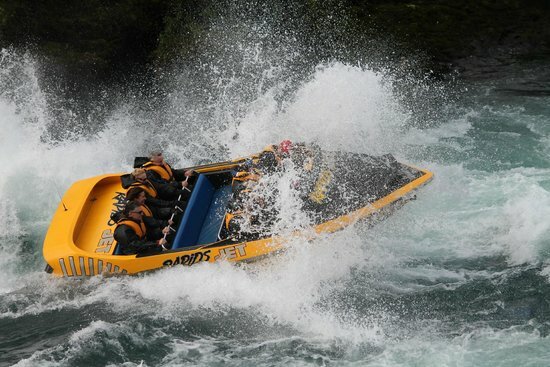 as Rapids Jet navigates the Waikato’s biggest rapids for commercial jet boats. N.B. 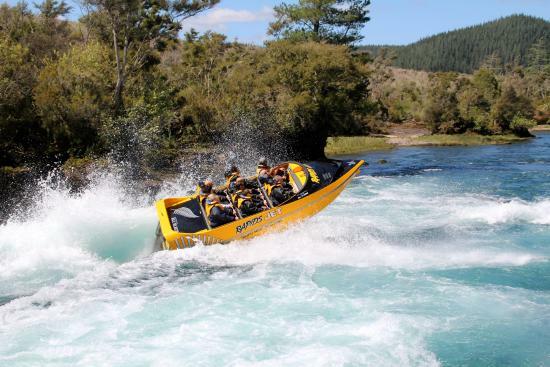 When Booking please specify the time of day you wish to experience this awesome trip on the ‘Preferences or comments’ part of the booking page (morning or afternoon) and this will be confirmed to you by email. 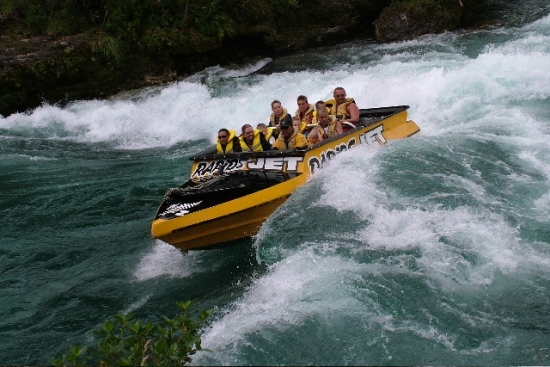 Specify preferred time you would like to jet boat when booking. 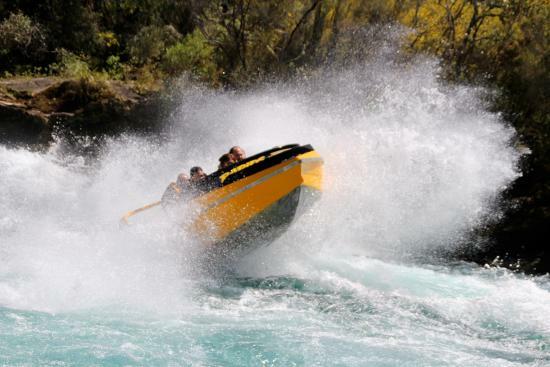 It’s a Fun, Safe, and a Exhilarating jet boating experience that takes you through world famous block buster film locations. 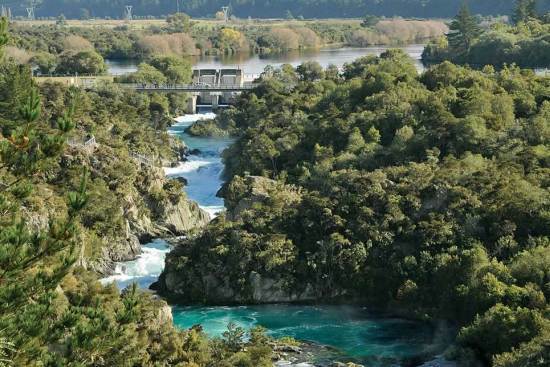 Follow in the footsteps of The Hobbit, Yogi Bear and Mr Pip. 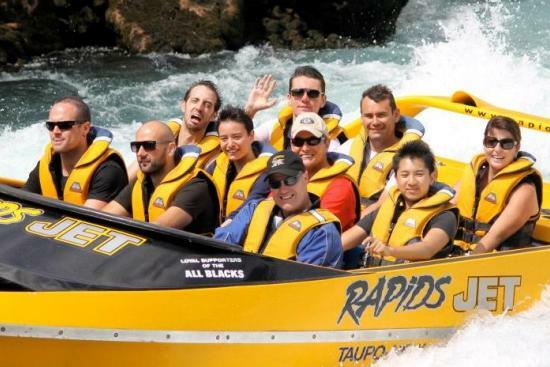 About the Team – Three Kiwi Blokes are the heart and sole of this locally owned and operated Lake Taupo activity. 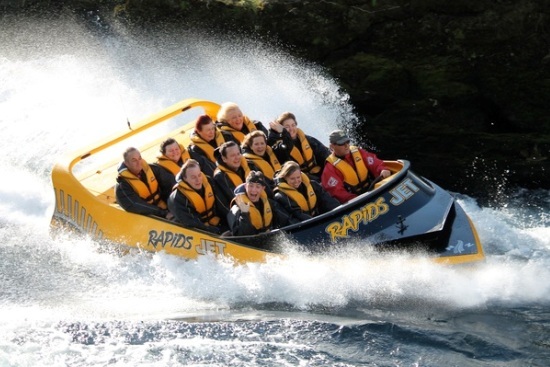 RAPIDS JET have been in operation for over 20 years. 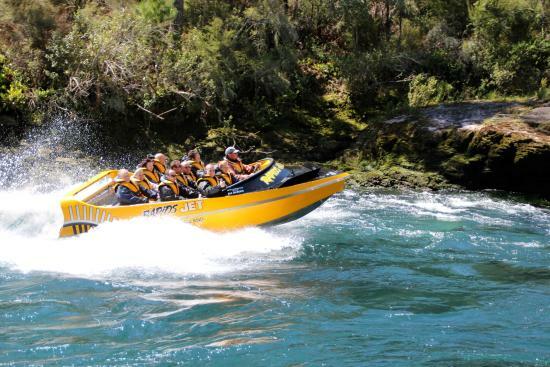 with the best Taupo jet boat drivers having thousands of hours combined experience in providing an exciting (not forgetting safe) unique boat experience to a high international standard. 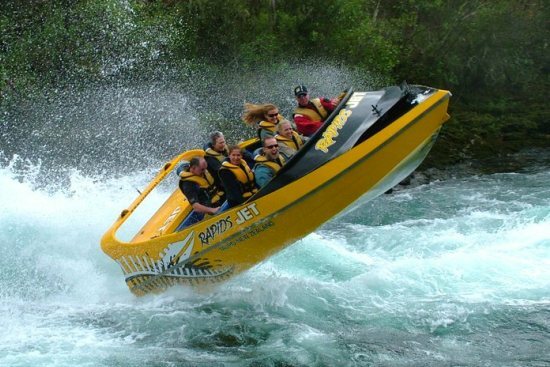 Let us share our love of jet boating with you. 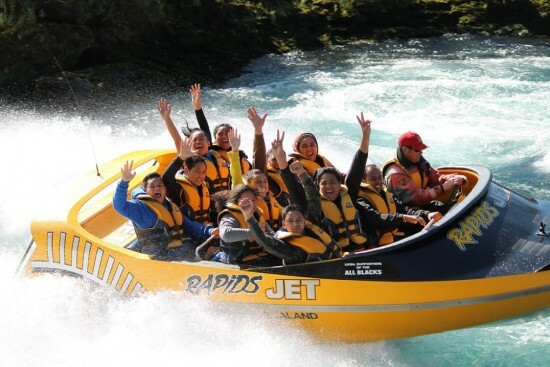 RAPIDS JET voted the Number 1 Boat Activity in Taupo on Tripadvisor!